In 2016, I had the honor of working along side of Scott and Rosanna. They performed during dinner hour at a wedding reception at Bell’s Banquets in Mount Pleasant, PA. I really, REALLY, enjoyed their work. 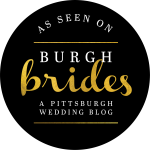 Aside from playing at various locations around Pittsburgh, they also perform live during Wedding Ceremonies and Receptions. 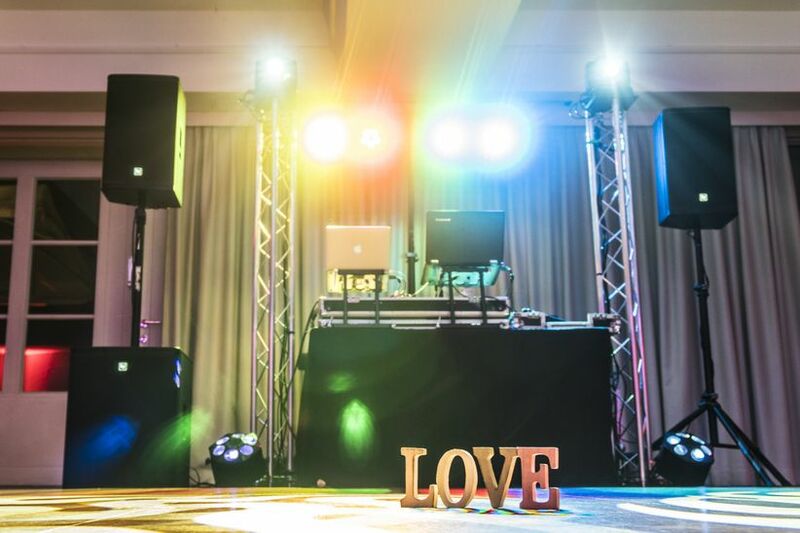 So, I am excited to announce we joined forces to offer combo DJ and Live Entertainment services for Wedding Receptions. 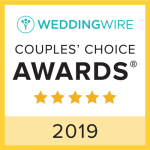 For example, instead of having our DJ services playing music during your cocktail hour or dinner, we would have Scott and Rosanna perform. 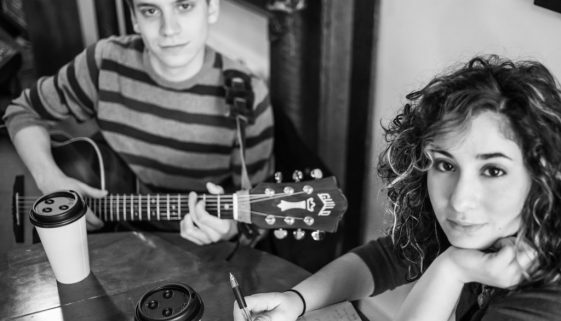 Singer/songwriter duo Scott and Rosanna formed in late 2012 in Pittsburgh, PA. The two met playing in their college jazz band and quickly began a musical relationship as well as a romantic one. Scott’s free spirited playing paired with Rosanna’s raw, soulful voice are elevated through the use of percussive and vocal looping.